... if you can pry yourself away from the TV. If you're like millions of other couples across the country, you've already dedicated date night to the last day of summer's most beloved TV tradition: Shark Week. Well, if you and your fin-atic SO can pry yourselves away from the TV screen for a few hours, we have a few date night ideas to celebrate Shark Week the right way. Feeling carnivorous? Since sharks seem to love treating us humans like an all-you-can-eat buffet, it only seems fair that we should get a bite out of them too. If you're looking for a new dinner recipe for date night, try grilling up a couple of marinated shark steaks. They're delicious enough to sink your teeth into. And for dessert? Top 'em off with a tasty treat: Shark Cupcakes. 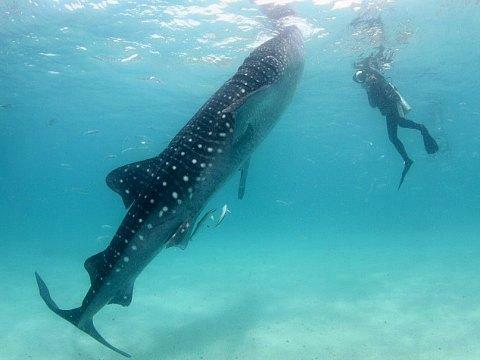 What better way to see these underwater predators than up close and personal? If you and your date are daring enough, jump into a shark dive at your local aquarium or offshore waters. You'll be submerged into murky waters swarming with giant, menacing tiger sharks, hammerhead sharks and even great whites (Albeit, you have the option to be safely locked in a cage the whole time — don't worry, date night is supposed to be exciting, not crazy!) If that doesn't spice up date night, nothing will. roadtrip to Adventure Aquarium in New Jersey, which boasts the biggest collection of sharks on the East Coast! 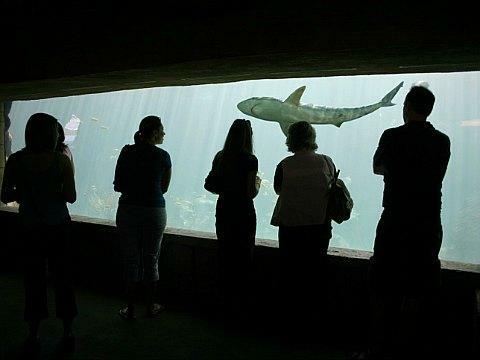 There, the two of you can stroll through their Shark Realm Exhibit to see nurses, zebras and great hammerheads swim overhead in a 40-foot long tunnel and polish up on your shark trivia with the exhibit's sea-life experts. Oh, and did we mention that they even offer a discount in the spirit of Shark Week? Admit it, that's a pretty jaw-dropping deal! If you're both real fin-atics, you understand the dire threat to these predators of the deep. As scary as sharks seem, they have a bigger predator: us. 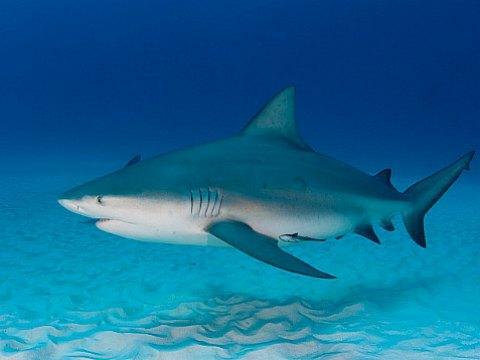 Of the 80 shark attacks reported worldwide last year, only seven were fatal. Compare that to the almost 100 million sharks that are killed each year and you'll have a sudden sense of clarity about how we tend to over-exaggerate their ferocity. If you and your significant other are conservation-minded, adopt a shark together! It will leave you both feeling warm and fuzzy inside, and it may inspire you to even eventually join a research trip to aid in the shark-saving effort. Heart-pumping blockbusters like Jaws and Deep Blue Sea will have you clutching to each other on the couch, and more LOL-worthy flicks like Syfy's Sharknado will have you clutching to your sides with giggles. While you're watching, make a drinking game out of it! Whenever a shark attacks an onscreen character or the ominous "dun dun ... dun dun" music kicks in, throw back a shark shot (a vodka-infused blue jello shot garnished with a gummy shark). And hey, if you're that hard up on ideas for what to watch, you can always fall back on a special from Shark Week, right?